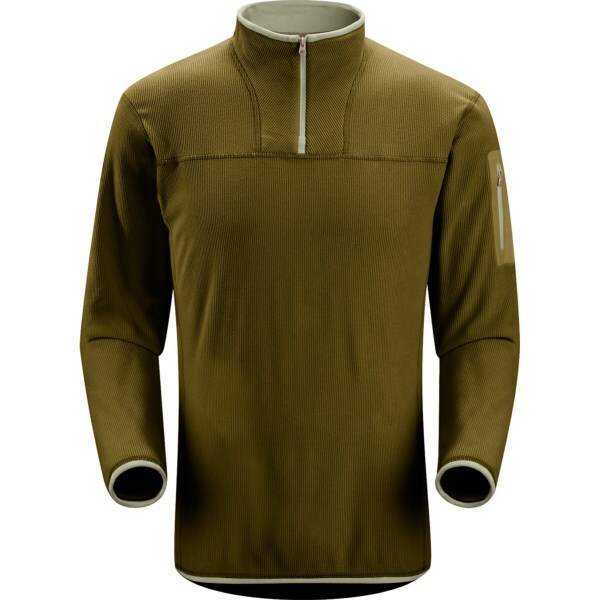 Created for cold weather training, the Arc'teryx Thetis zip-neck top for men functions as a standalone shirt during high-output activities or as a mid layer on colder days. 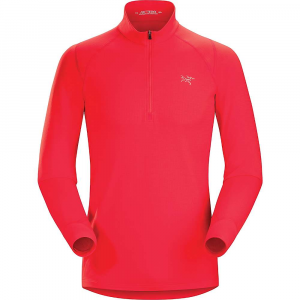 Arc'teryx designed the Men's Thetis Zip-Neck Top for high aerobic activities in the mountains. 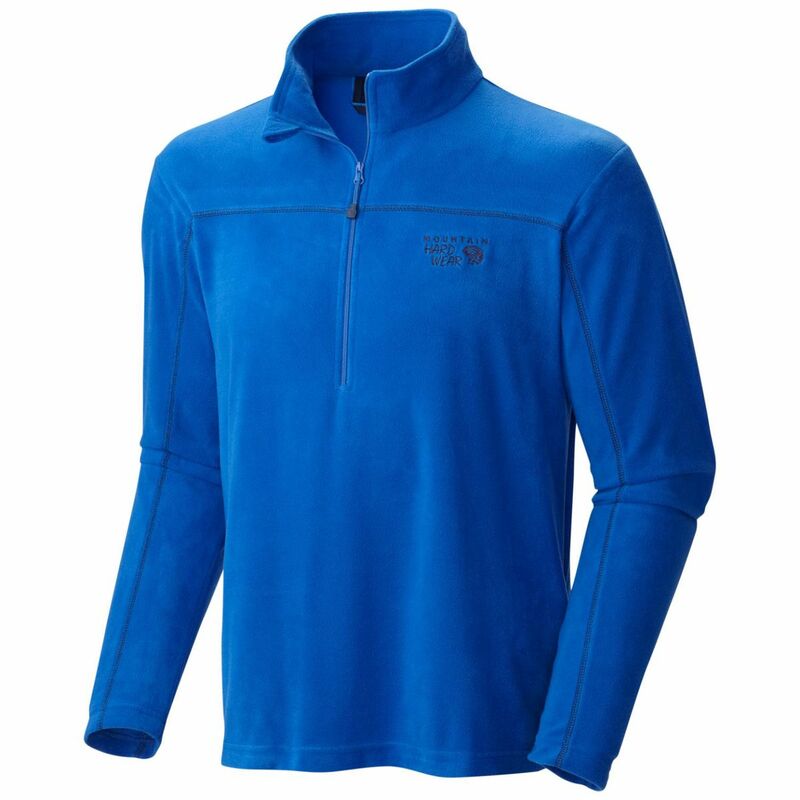 This lightweight top features Polartec's Power Dry fabric that wicks moisture quickly and efficiently while providing midweight warmth for shoulder season runs and nordic skiing sessions in the winter. Arc'teryx added a zip-neck for ventilation, thumbholes for secure coverage, flatlock seams for chafe-free comfort, and a zippered security pocket with a media port for headphones. 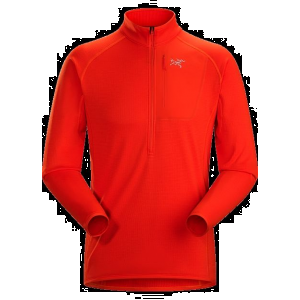 Designed around your cold weather training cycle, the men's ARCTERYX Thetis Zip Neck functions as a standalone during high output activities or as a mid layer on colder days. 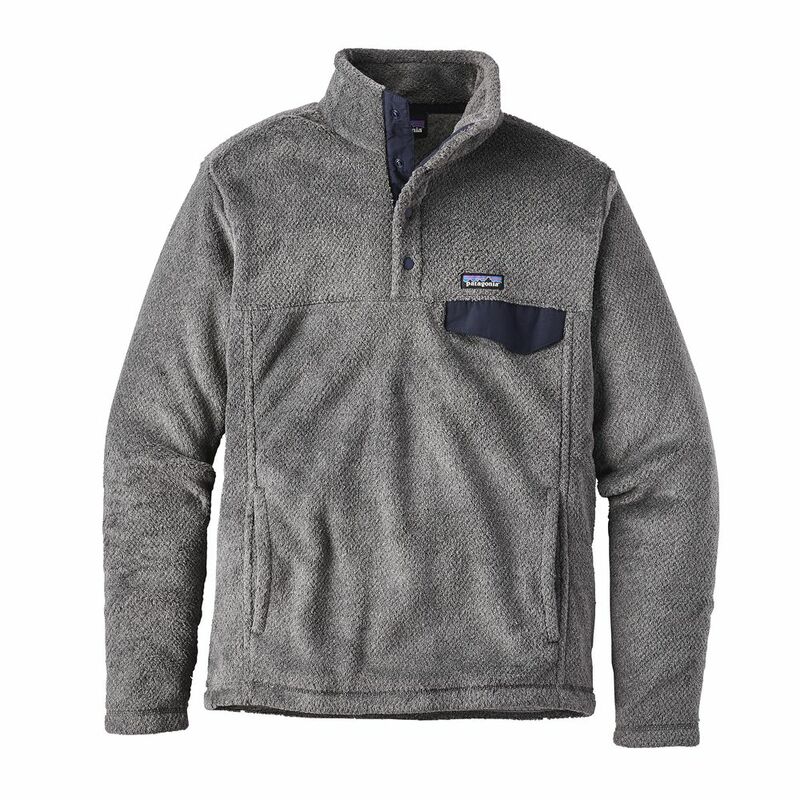 The smooth-faced Polartec Power Dry fleece grid backing provides thermal efficiency and speeds moisture transfer during high output activities. 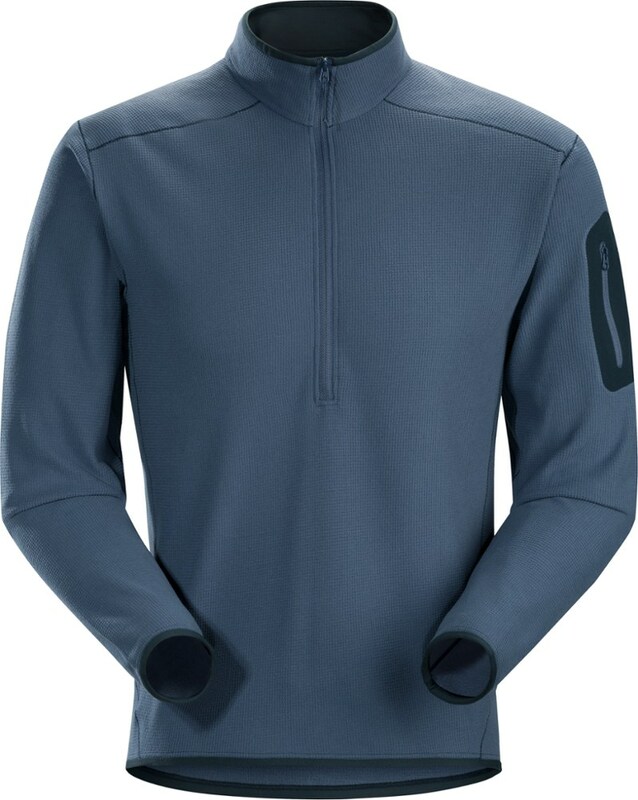 The collar delivers coverage without binding, flatlock construction helps eliminate chafing at the seams, and the three quarter zip makes it easy to ventilate and quickly pull on and off. A secure zippered hip pocket with a media port holds small essentials. Its versatility performs while warming up, training and as a post race cool down piece. 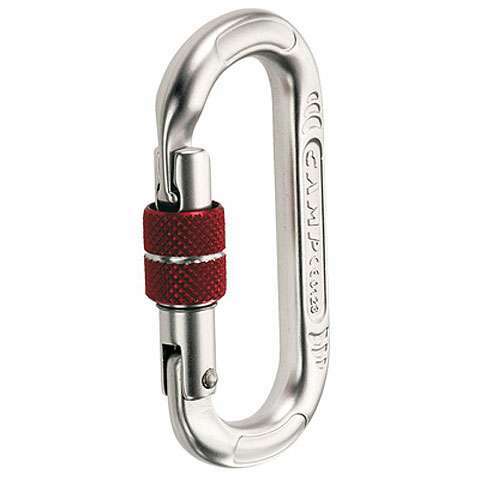 The Arc'teryx Thetis Zip Neck is not available from the stores we monitor. It was last seen September 30, 2018	at Moosejaw.